CAT Open this weekend 17th/18th March – Update! 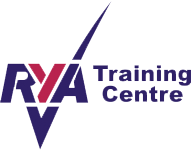 The next Dinghy Instructor Course will be on 2nd-6th April, with the pre-assessment on 17th March. Contact the office to register or for more information. Here’s how the gent’s showers look with the new floor. Many thanks to the gentlemen members and visitors for their forbearance while the work was carried out. As a reminder this is what we posted in January when the work was started. Membership renewal packs have recently been sent out to all members. Unfortunately the payment form was omitted. You can download the payment form here. Please complete it and return it to the office. Apologies for any inconvenience.